Millions of dollars are wagered on tennis tournaments across the world every day. The world’s best tennis players provide ample opportunity for punters to win big money. Here at BettingSite.com.au, we’re all about helping punters get it right so they can turn their hard earned into big dollars. So we’ve put together a compendium of the best bookmakers to bet with, some of the more popular betting methods and a few tips to navigate the minefield that can be tennis betting. Bet within your means: Before you even think about laying a bet on the tennis, make sure you’re doing it responsibly. It’s meant to be fun, so be sure to meet all your obligations and ensure you’re using money that’s not there to put food on the table and pay the bills. Trust us, you will enjoy it more. Know your players: Too many punters just pick the favourite and hope for the best in tennis betting. Once you’ve sorted out how much money you’ve got to lay down, make sure you know your players and follow the form to ensure when an upset could be possible or when a star is on a hot streak. How they perform on clay, grass and artificial courts also has a massive bearing on how a match might turn out. Knowledge is key. Back the big guns: Superstars like Roger Federer, Novak Djokovic and Serena Williams are at the top of the rankings for a reason – they win. The first three in particular have sensational records at the big tournaments and deserve respect from punters every time they step out on court. Be on the look out for young superstars: At some point in their careers guys like Djokovic, Federer and Rafael Nadal were young and the ‘next big thing’. If you caught them on that rise and backed them consistently you would be laughing all the way to the bank. Alexander Zverev, Grigor Dimitrov and Ashleigh Barty are names to remember. This is the bread and butter of tennis betting. All you have to do is decide who you think will win the match, lay your money down and then hope he or she can get the job done. It really is that simple. A little more complex than straight head to head bets, set betting can involve predicting who wins a particular set, how many games a set will go to, how many games each player will win in a particular set and how many sets the match you’re betting on will go to. This involved betting on who will win a particular tournament. Markets on the major tournaments are usually offered all year round, meaning you can place your punt months away from the tournament, or as late as the tournament final. All you have to decide who will win. Simple, hey? Usually the domain of head to head bets, putting your favourite players into a parlay can be a fun way to enhance your odds on your tennis bet. Any thing from two to 12 leg bets are available with the six key online bookmakers we have listed. Each leg multiplies the odds by its quote, making for some seriously good odds. But, as the legs rise, your chances of winning decrease. Remember you have to get all 12 legs home of that Hail Mary multi you put on. A quartet of tournaments, known as grand slams, are the pinnacle of the tennis world. Every player wants to win them and every tennis punter wants to make some dollars off them. Melbourne’s summer heat bears down on Rod Laver Arena for the Australian Open in January each year. The searing heat can be heaven for fans, but hell for players as they fight their way through the elements in the hope of winning one of the country’s richest sporting prizes. Aussie Roy Emerson, who claimed six titles, was the undisputed champion until Serbian legend Novak Djokovic came along. The Djoker was only 28 when he equalled Emerson’s record. Serena Williams also has six titles, more than any other woman in the open era, but Aussie Margaret Court’s record of 11 looks near impossible to catch. Another feature of the Australian Open is the number of prominent lead-up events around the country. 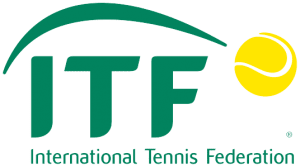 Key fixtures include the Hopman Cup, the Brisbane International, the Sydney International, the Hobart International and the Kooyong Classic. One of the world’s most beautiful cities, Paris, hosts the French Open as the second grand slam each year. Glorious Roland Garros provides the backdrop for the tournament, which was first played out in 1891 and runs from late May into June each year. Spanish superstar Rafael Nadal is the undoubted owner of the clay tournament, racking up a remarkable 10 French Open titles in the space of 13 years. USA glamour girl Chris Evert claimed the title seven times from 1974 to 1986. Simply known as The Championships, the All England Club, London, hosts the only grass grand slam on the calendar. It is the oldest tennis title on the world and is one of the flagship events on the English sporting calendar. One man stands above all others in the pantheon of Wimbledon greats. With his fairytale win in 2017, Roger Federer surpassed Pete Sampras to hold the all-time record with eight gentlemen’s singles titles. It would be remiss of us not to mention the brilliant Bjorn Borg, who won Wimbledon five times in a row from 1974 to 1980. Martina Navratilova leads the ladies with a whopping nine Wimbledon titles, including six straight from 1982 to 1987. Next best in the open era are Steffi Graf and Serena Williams, who have each claimed seven wins. The grand slam finale, the US Open, is one of the oldest tennis championships in the world. First played in 1881, New York’s picturesque Flushing Meadows hosts the prestigious hard court championship. The US tournament has been dominated in the open era by three men. Roger Federer won it every year from 2004 to 2008, thus joining American heroes Pete Sampras and Jimmy Connors on five titles. Chris Evert and Serena Williams share the women’s record with six titles apiece. Novak and Serena take centre stage on Wednesday in the last eight of the 2019 Australian Open.